We would like to express our thanks for your interest in Cosmo Darts. 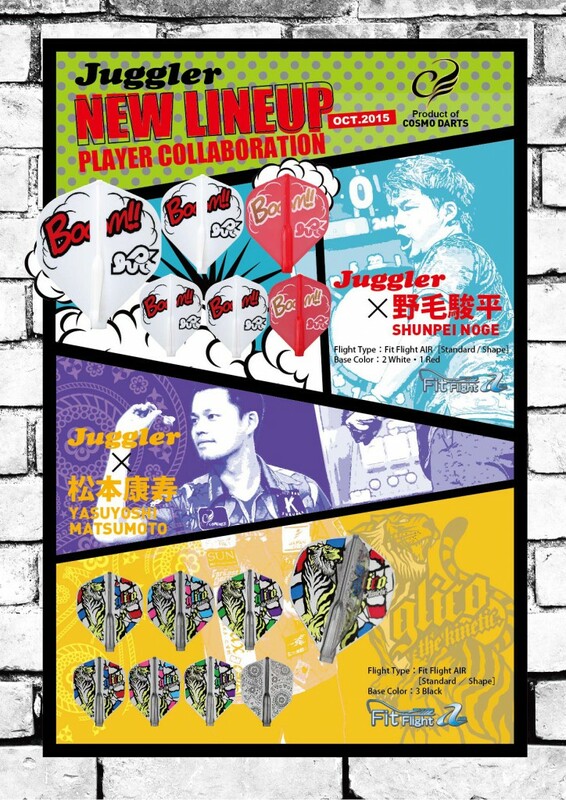 Shunpei Noge collaboration flights in Juggler version. He is the annual champion for JAPAN 2014, and it is his first collaboration flights! Yasuyoshi Matsumoto (a.k.a Glico) collaboration flights in Juggler version. There is a different design printed on the other side of fin, and 3 different patterns of flights are in one set. It is definitely the attractive designed flights! The above flights are available for sale from October 21st, 2015.